Hello, wizards. It’s been too long. You should write more. We miss you. With Populate Anything out in the wild, our primary focus will be optimizing support. Gravity Forms Populate Anything, Public Beta Available! Do you know what the best kind of data is. Dynamic data. Data that you don’t have to manually enter. Data that is automatically fetched, filtered and populated into your Gravity Forms. We’ve just fixed a major bug in Gravity Forms Nested Forms that may result in data loss if you are affected. Orphaned child entries are created when a user submits a nested form but never submits the parent form. Gravity PerksHappy New Year, wizards. 2018 was a very good year at Gravity Wiz. A few of our top highlights: We officially brought on Clay Griffiths as a partner. Merry Christmas, wizards. Gravity Perks 2.1 has dropped and we’re already up to 2.1.2. This new version introduces a major improvement to how Gravity Perks communicates with the Gravity Wiz licensing and product updates API. Hello, wizards. Gravity Forms 2.4 is out and Gravity Perks is ready for it. We fixed a few compatibility issues last week so make sure to update your perks to the latest versions. Hello, wizards. If you haven’t already taken advantage of our temporary, magically-induced insanity, use BLACKMAGIC at checkout to get up to 50% off of Gravity Perks. Use the Gravity Forms Conditional Shortcode to display conditional content in your Gravity Form confirmations, notifications or HTML fields (with the GP Preview Submission perk). A simple way to create custom templates for displaying files uploaded via a Multi-File Upload field. Image files can be displayed as images, video files can be loaded as playable videos, PDFs (and other text file types) can be stylized to indicate the file type. The possibilities are endless. What’s this. A weekly update an actual week after our last. Behold our mastery of time. What has the team been up to this week. My dear, dear wizards. It’s been too long since we last spoke. 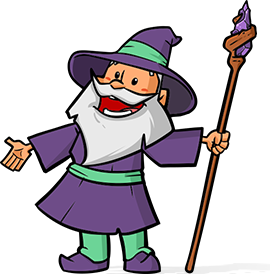 We’ve been busy little sorcerers, conjuring up a host of arcane bug fixes and magical improvements for Gravity Perks.